Leaves are beginning to blanket the ground, the temperature is steadily dropping, and you can’t walk into a coffee shop without seeing pumpkin flavorings advertised left and right. Fall is officially here, and there are a few things you need to do to ensure that your home is ready. 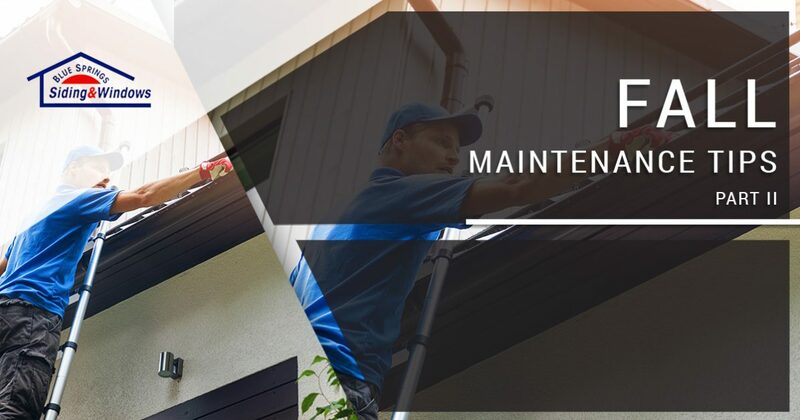 We provided you with a few fall maintenance tips in a previous post, and in today’s post, we’ll continue to provide you with information that will help you keep up with your home’s maintenance needs this fall. If you would like to learn more about any of the products we discuss — including our revolutionary gutter guards — then get in touch with a member of Blue Springs Siding and Windows by calling 816-629-6270 or by filling out the form at the bottom of this page. We look forward to working with you soon! We all dread it, but cleaning your gutters is one of the most important ways to prepare your home for the winter. We provided you with a step-by-step guide to gutter cleaning in a previous post, so be sure to catch up on that information if you haven’t yet read it. 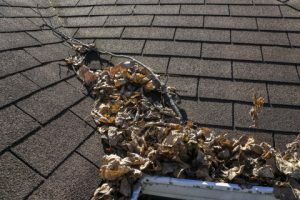 To summarize, you’ll want to ensure that you’ve thoroughly cleaned out any leaves, debris, and organic matter that has collected in your gutters during the last few months. You don’t want your gutters to turn into a compost bin, and you certainly don’t want them to become so saturated that they begin to hang off the side of your home! After you’ve checked to ensure that your gutters are clear of any debris, you’ll want to ensure that your downspouts are unobstructed and that they don’t allow water to pool near your home. Check to ensure that water is being directed away from your home the next time it rains, as you don’t want pooling water to weaken your home’s foundation or damage your landscape. If you would like to save yourself a significant amount of time when it comes time to clean your gutters, then you should take a look at our innovative gutter guard product, Gutter Defender. While many gutter guards are designed to fit into your gutters, Gutter Defender works by using surface tension to funnel water into the gutters while simultaneously directing pine needles, leaves, and other debris safely to the ground. Maintaining your home during the fall is easy when you have Gutter Defender in your corner! As residents of the Kansas City area, we know how dynamic the weather can be. Your home’s siding may have become damaged during a summer storm, so check to ensure that everything is in place before the temperatures really start to drop. Broken siding can allow snowmelt to seep into your walls, and it can also allow warm air to escape from your home. We know that water damage is something you don’t want to deal with, and we don’t want you to pay more than you need to as you heat your home this winter. We proudly provide siding installations that can help you improve your home’s thermal retention, so give our siding experts a call if your home’s siding has seen better days. 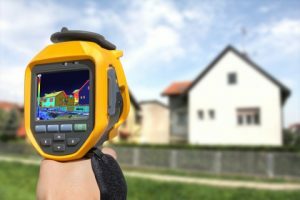 Building off the point in the previous section, you may want to invest in an energy audit for your entire home before the coldest days of winter arrive. While a siding installation will certainly help you insulate your home, you won’t see a significant improvement in your home’s energy retention if air is escaping through your windows, doors, or roof. When you have the results of your audit, come by our showroom in Blue Springs to see how we can help! One of our friendly staff members will walk you through your options, and we’ll help you find something that improves your home without exceeding your budget. You may benefit from a door installation or a few replacement windows, and we’re certain that you’ll find something you love in our showroom. Keep an eye on our blog page, as we’ll be adding more posts throughout the winter that will help you maintain your home and save money on your utility bills. Are you ready to get started on a home improvement project? Contact Blue Springs Siding and Windows by clicking the button below!